I recently went on a charming little journey through time to track down a quote attributed to the poet Samuel Taylor Coleridge (1772-1834), “we do not feel horror because we are haunted by a sphinx, we dream a sphinx in order to explain the horror that we feel”. The context and the journey through references adds beautifully to my earlier post about dreams and nightmares. 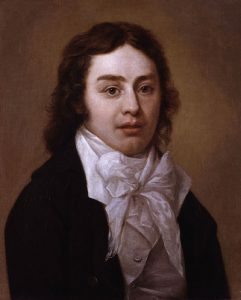 Coleridge was disturbed by his nightmares throughout his life and shared his thoughts about their origins. The idea that words are illusions links so well to the idea that autism exists on the boundary of language. As soon as we have words to describe our senses, we lose the direct connection to the sensory experience. Jacques Lacan wrote that “the symbol first manifests itself as the killing of the thing” (in The Function and Field of Speech and Language in Psychoanalysis, Ecrits, 1966). We only see the world through the human filter of words, losing all the richness and depth of the noise and distraction of the real world. This assumes that our minds are effectively selecting the relevant from the irrelevant. For example, if an unexpected noise distracts or surprises you, it may effectively disappear from your consciousness as soon as you identify the sound as “dishwasher”. If you see a room full of chairs, they may lose their individual identities and differences as soon as you classify them as “chair”. Autistic people might never quite leave the raw sensory world into language, remaining in touch with the sensory world, the distraction of real-life dishwashers and the differences between each and every chair in a room. They may be more distractible (to the point of ADD/ADHD), but also the first person to notice change and difference – a new chair, or a failing dishwasher pump. I sleep lightly and am frequently woken by noises or changes in light. My dreams can be very intense and seem to have lasted ages, culminating in a sound or change that is still there when I am startled awake. I once dreamed of a holiday with a mountain road trip, ending in a screeching crash and when I woke up there was a crashed car in the road outside, still rocking on its springs. My mind had constructed a lengthy narrative holiday road trip and provided all the impressions of the sensory experiences leading up to the startling noise. I once dreamed that the cat was stealing the Hi-Fi and got up to hear late-night drinkers supporting themselves against the back wall. 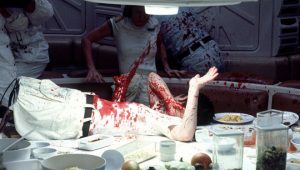 When I was recovering from stitches in my abdomen, I had recurrent nightmares that a sneeze or cough would explode my internal organs all over the ceiling (like John Hurt in the film Alien), a disturbing thought which continued into the daytime. Later on I had nightmares of having swallowed a fishing hook, on a line attached to the wall behind my head, again continuing into waking thoughts. When I had a follow-up CT scan I was terrified that the staples would melt inside me and drip out through my spine, like The China Syndrome, even though I was certain that this was irrational and impossible. 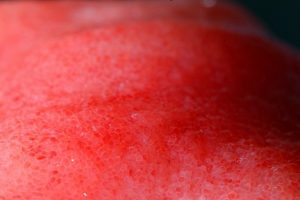 The nurses were brilliantly supportive and quite happy to let me take detailed close-up photographs of my surgery, to see the reality as opposed to my rabid imaginings. One of the key-workers at Aspect has told me this is called “Making Friends with your Fears”, and it has helped a great deal – apart from anything else, the interior of the human body is fascinating and beautiful. My own sensations of helplessness continued into dreams, requiring explanation as a scene from “Alien” and sharp, visceral tug of stitches required explanation, provided by a remembered scene from “SS-GB”. When I searched for sphinxes, lions and dreams in Coleridge’s works I came up blank. He did return to the theme of dreams and nighmares frequently, and attributed some of his most notable work to the intense dreams provoked by opium addiction. But no horror of sphinxes. Project Gutenberg and archive.org are wonderful resources for books that are not in copyright, including almost everything by Samuel Taylor Coleridge, in a variety of formats from plain text to eBook. And this was well worth the search because it is such an accurate portrayal of the waking panics I have, with a very real physical sensation – a sound, light or pain – blended with other very real objects, all blended with illusions to explain the unexpected. The mind is a very powerful (and often unguided) tool. There are some very practical techniques that can be brought to guiding the mind before sleep. “Monster spray” (water in a mister bottle) can prevent monsters under the bed. Dream catchers can trap the frightening elements of a dream. A worry angel is a small character in a matchbox, who you tell your fears to and then close before bed. Obviously (but most of us ignore the obvious) a distraction-free, comfortable bedroom without any stressful reminders of work, conflict or chores is critical – who doesn’t have a phone, electronic device, TV, car keys, files from work or unused exercise equipment in their bedroom? In my own case I have found photography a helpful form of grounding myself and filtering the world. I have been assembling a series of images of the scar, from surgery to healed, into an amazing animated video of the healing process, which I will spare you here. The photograph here is an approximately x5 magnification of the internal surface of my intestine, showing the villi that provide a massive internal surface area to absorb nutrients from food. It is fascinating and beautiful, and the process of digestion is phenomenally complex and varied. It is not going to explode on the ceiling. And how many people have photographed their own intestines?